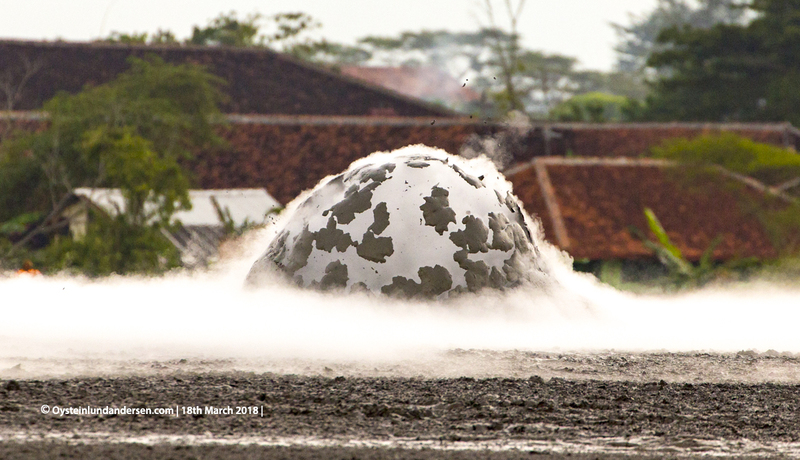 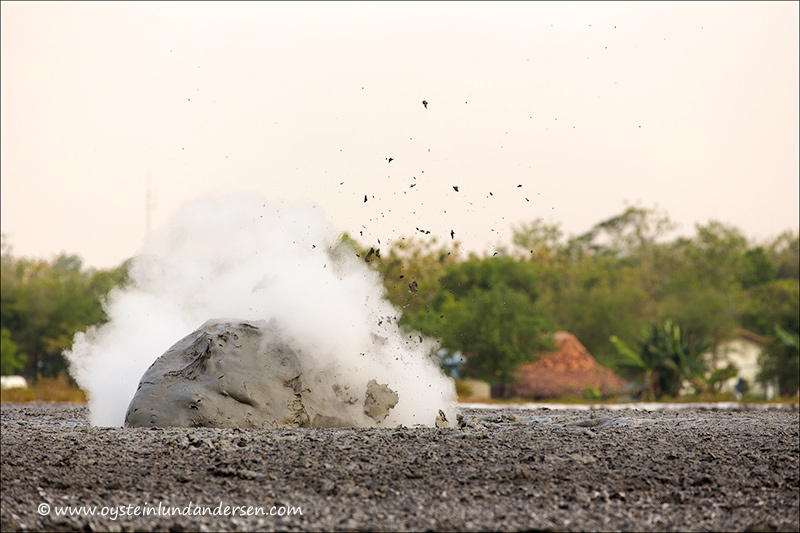 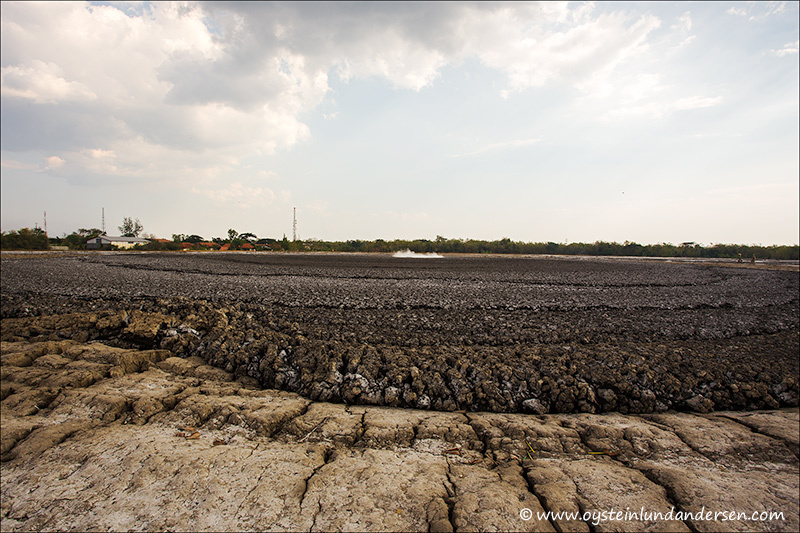 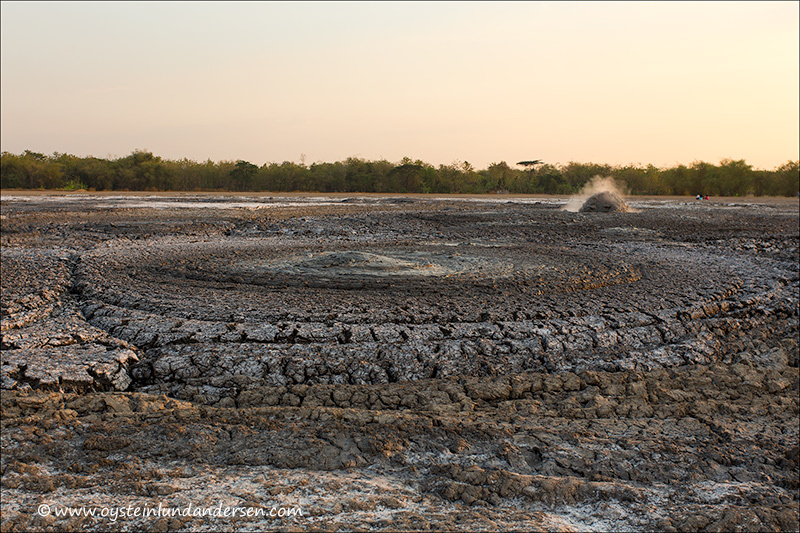 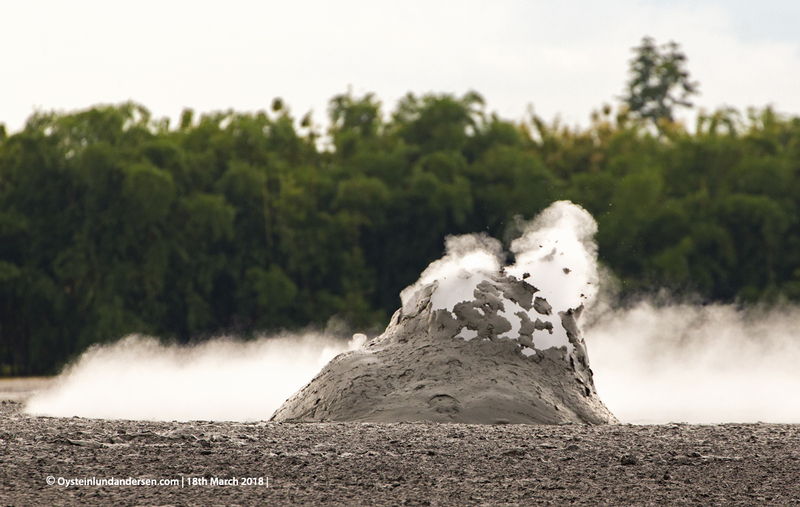 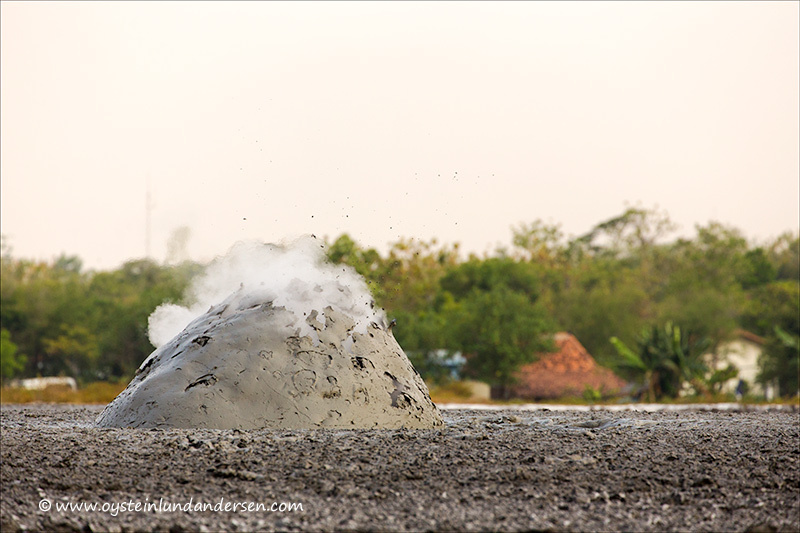 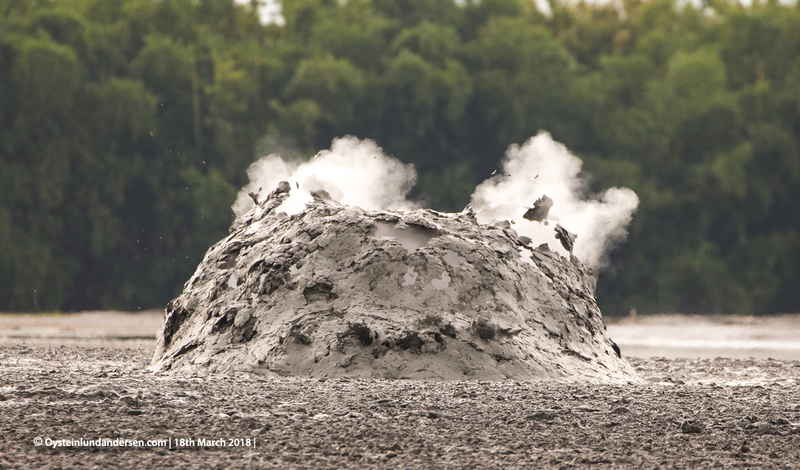 Bledug Kuwu is a mud-volcano located in the village of Kuwu on Central Java, 80km east of the city of Semarang. 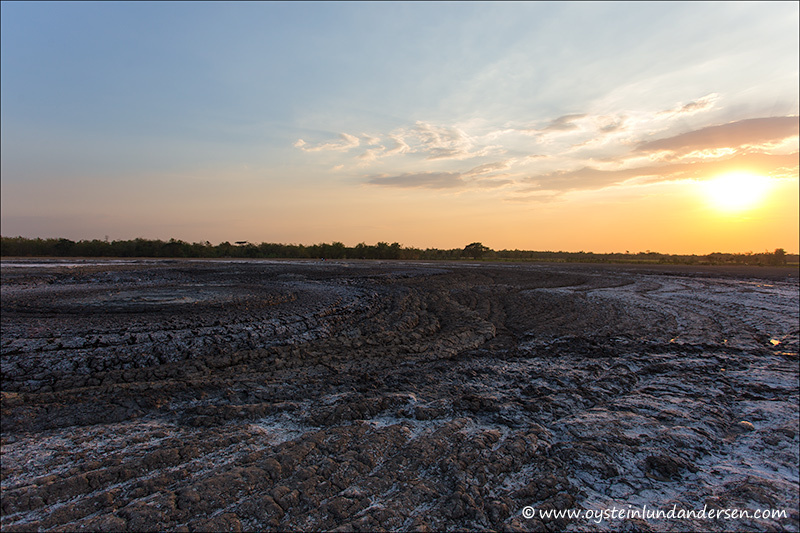 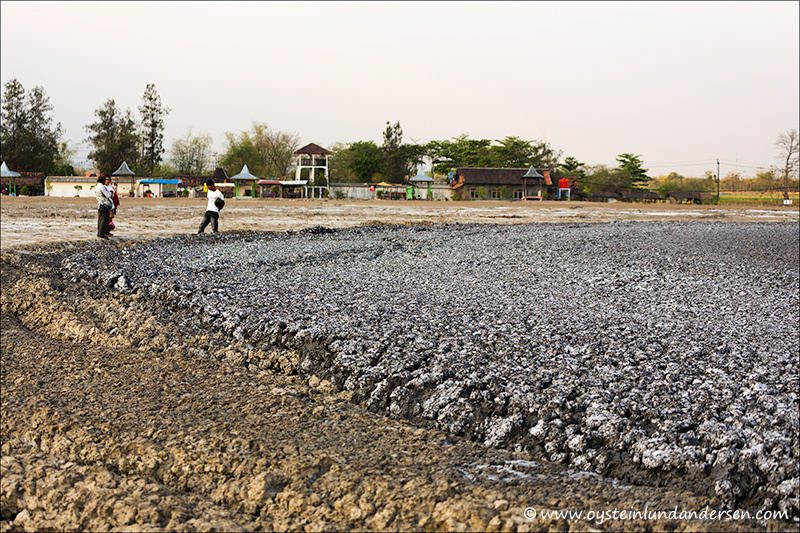 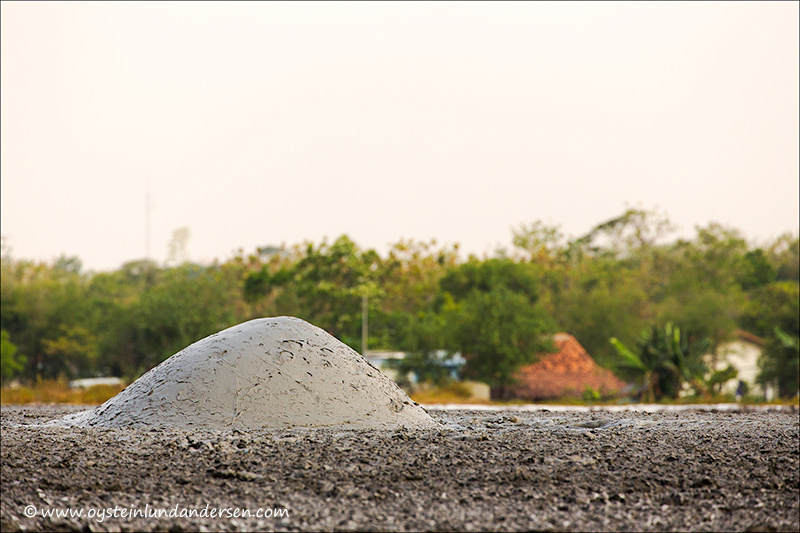 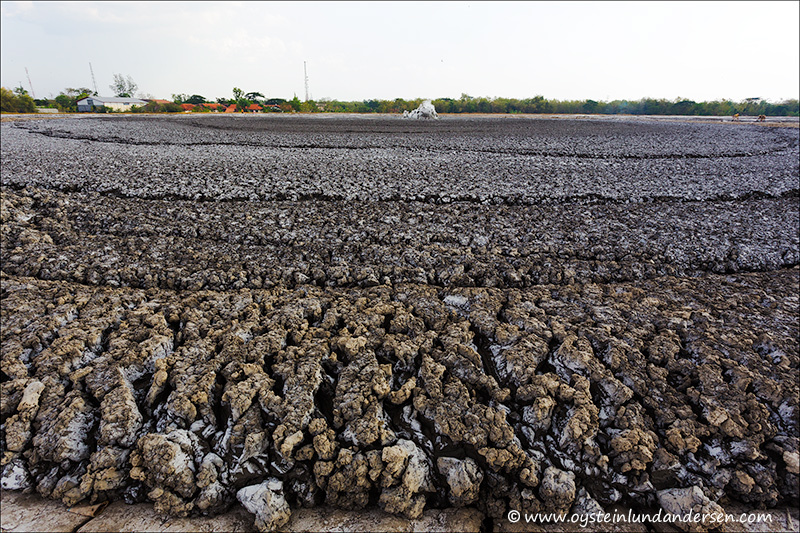 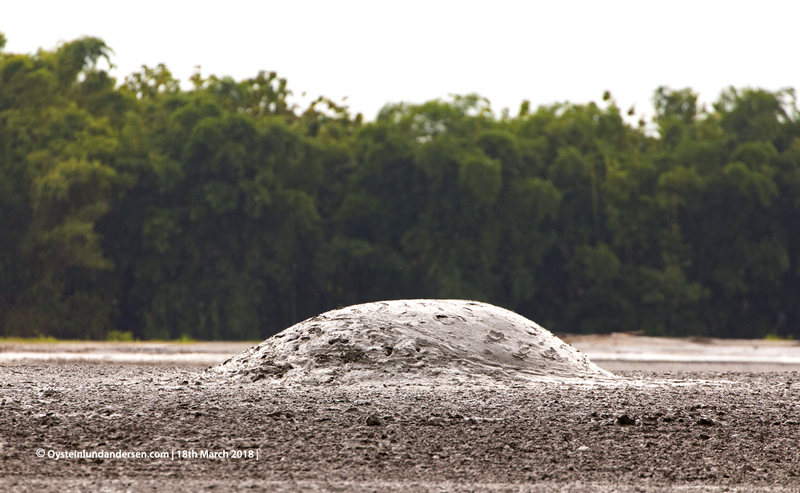 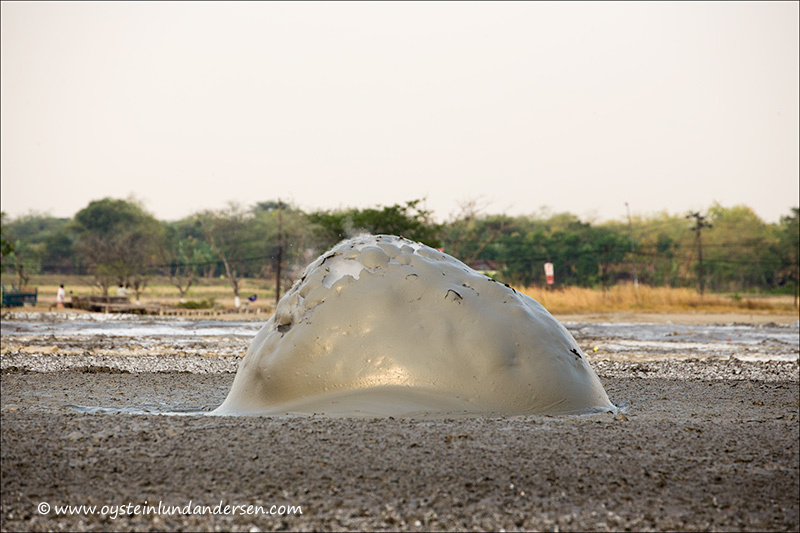 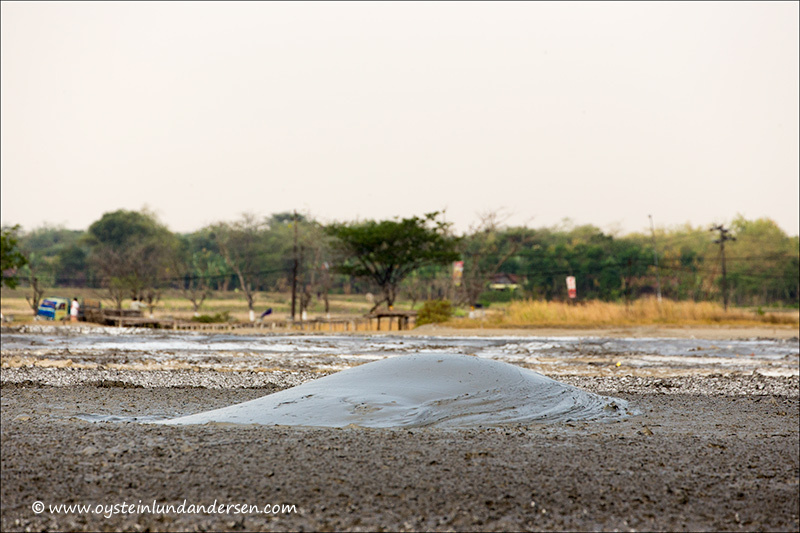 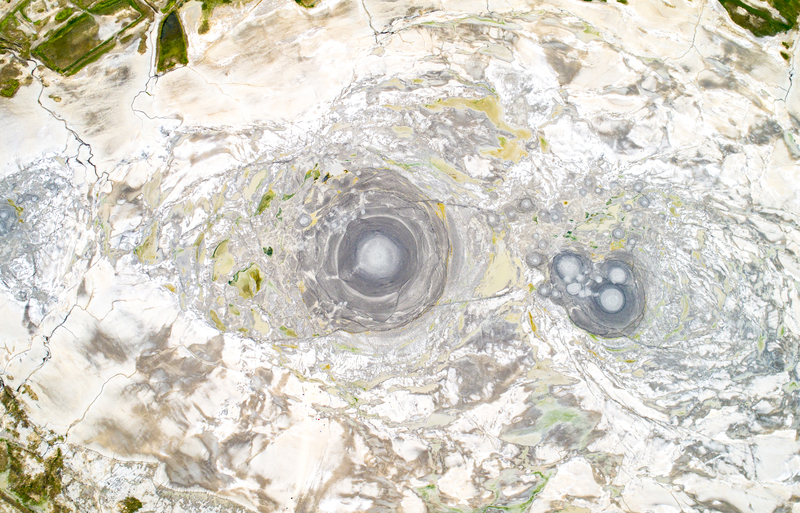 The Bledug Kuwu mud volcano complex forms a low relief, nearly flat surface, about 700 m in diameter. 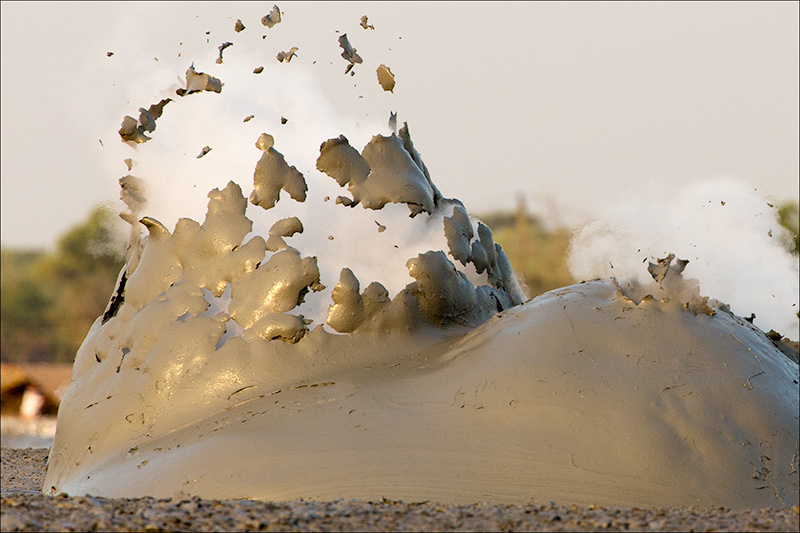 The active system consists of at least three eruption centers. 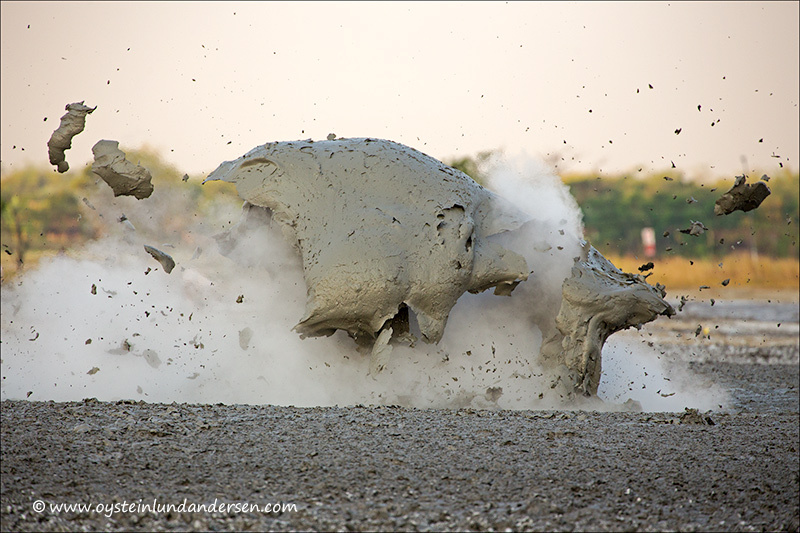 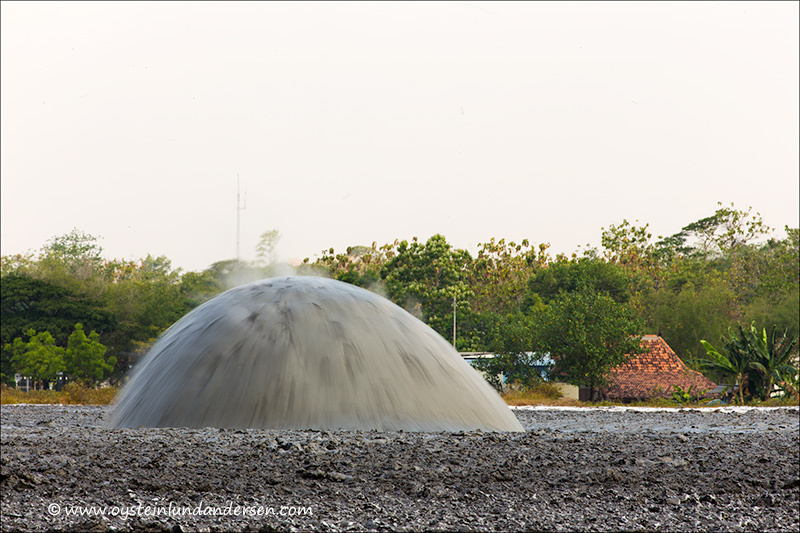 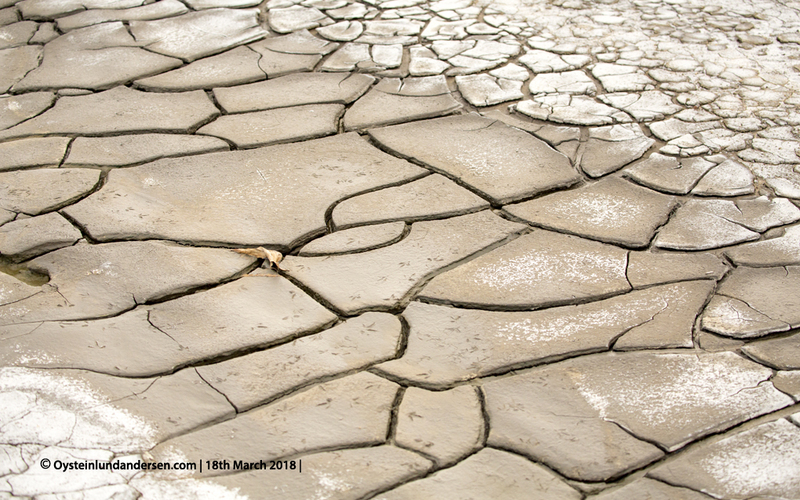 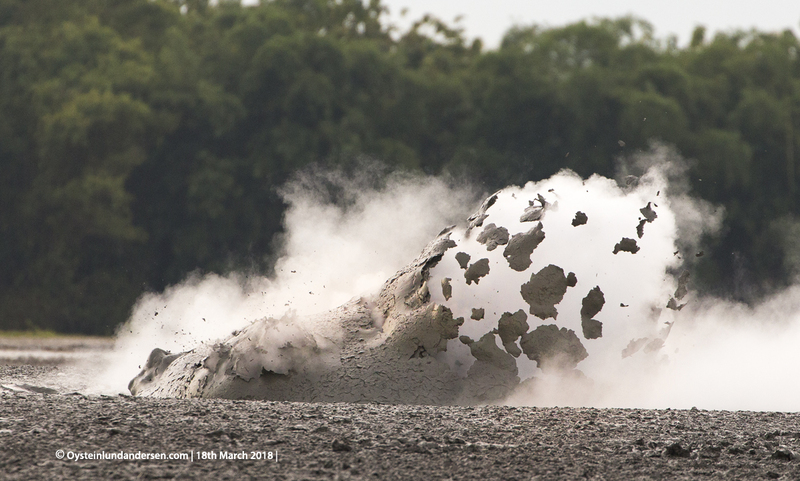 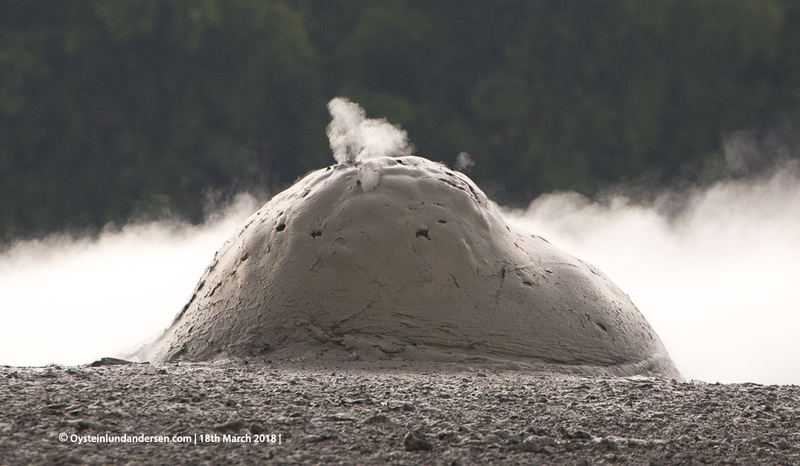 Two main vents typically produce frequent bursts of gas bubbles piercing the mud surface. 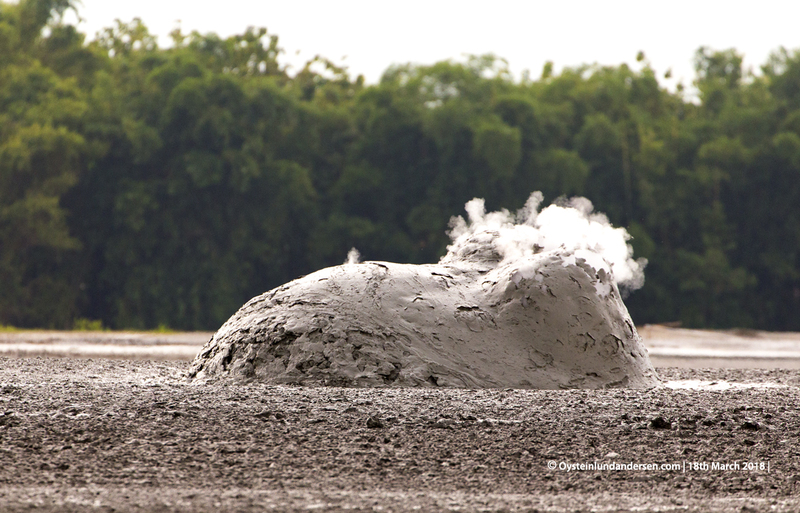 A major constituent of the gas emitted at Bledug Kuwu is water vapor. 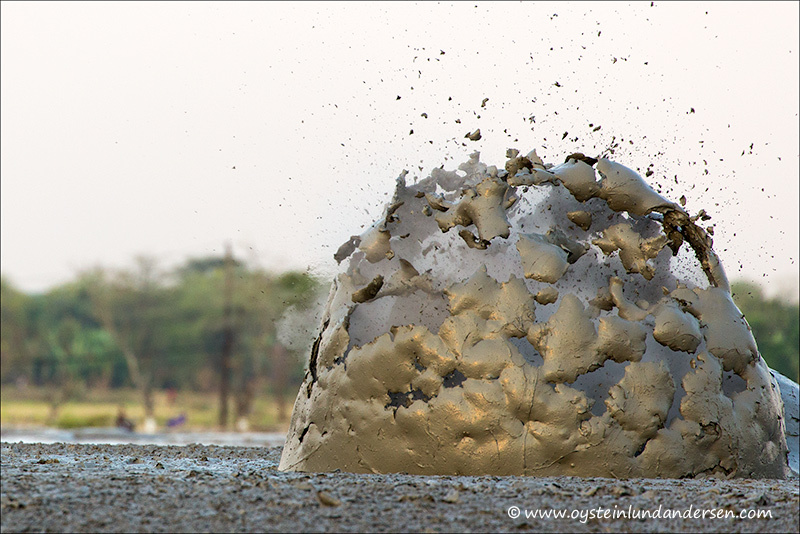 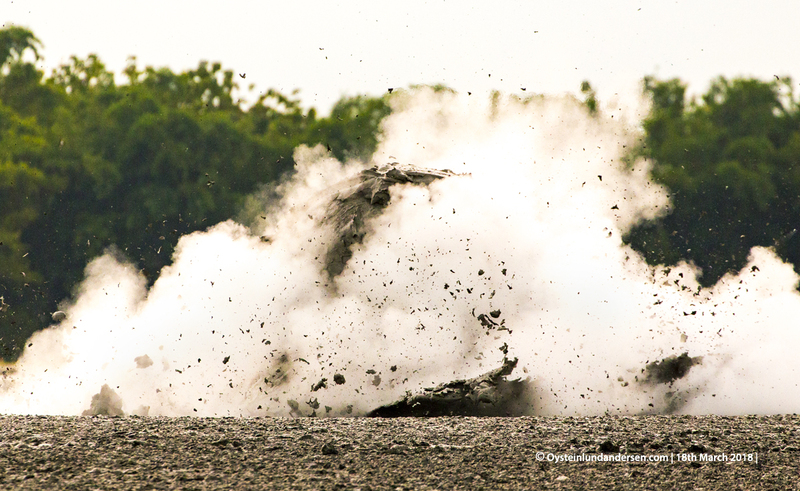 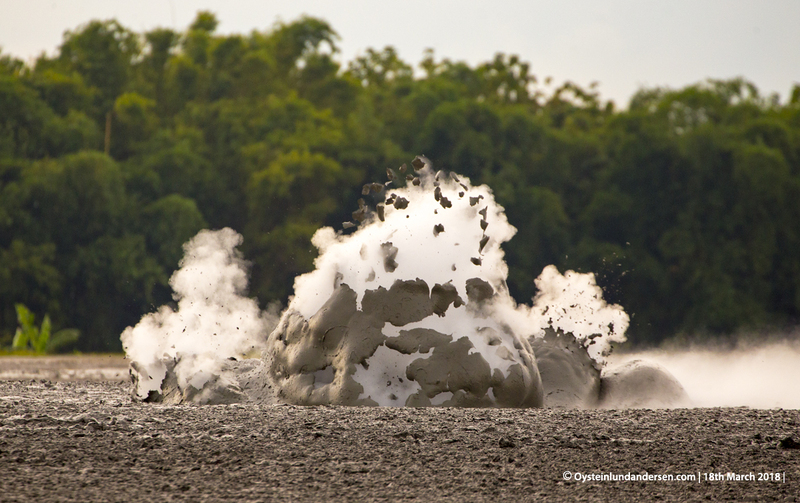 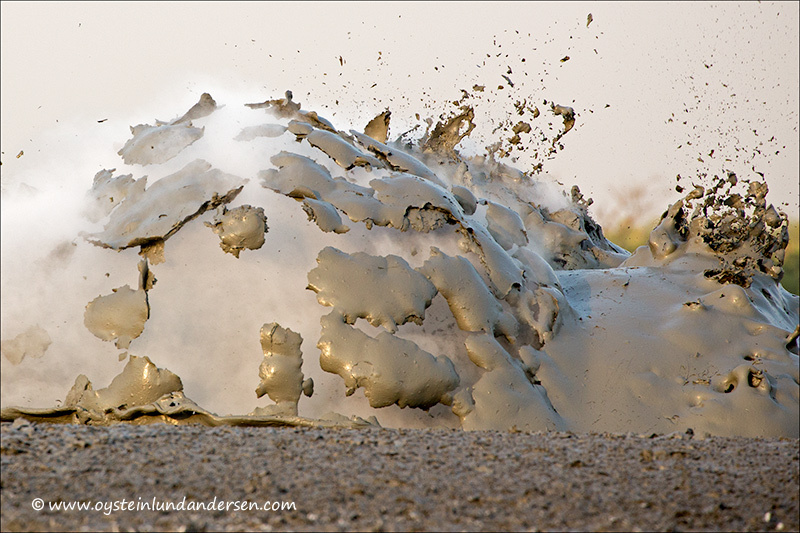 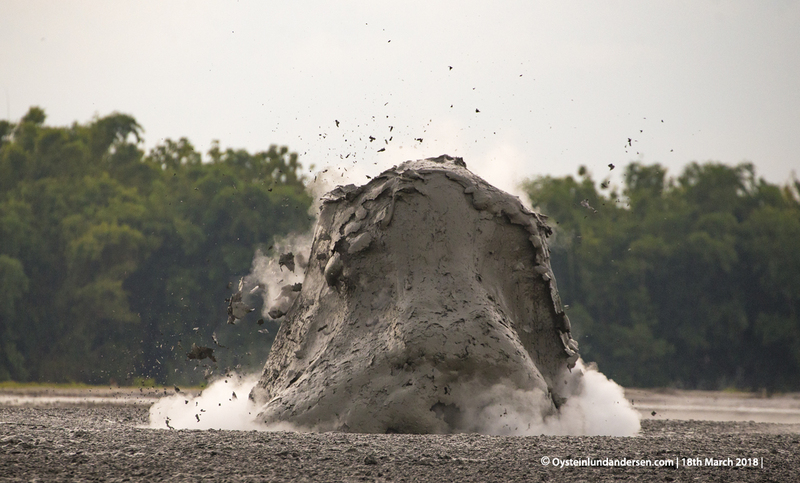 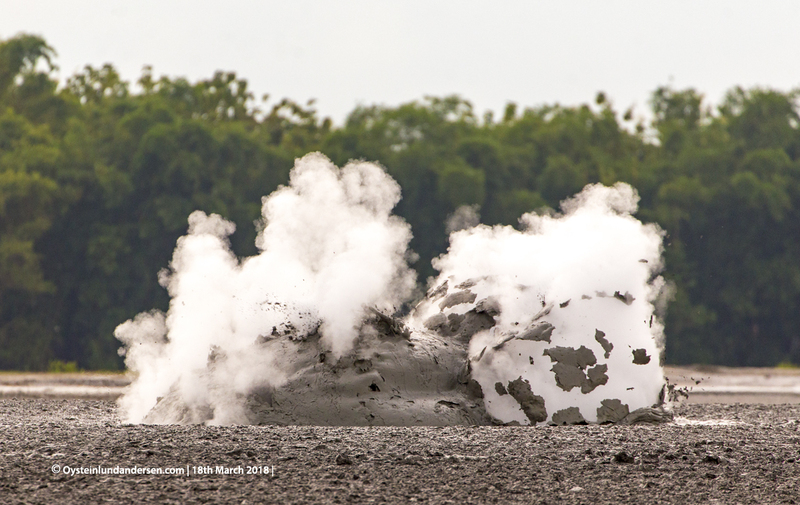 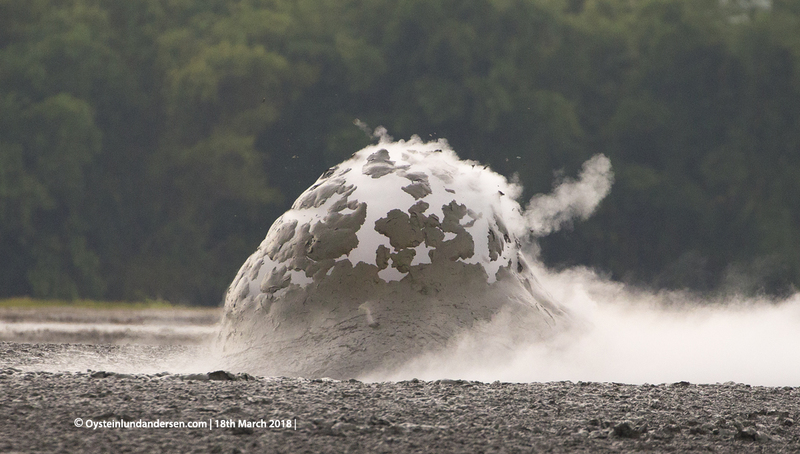 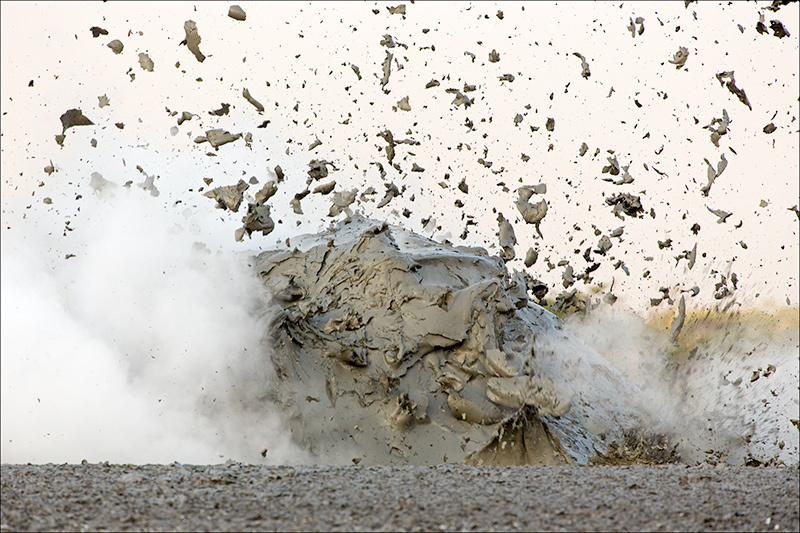 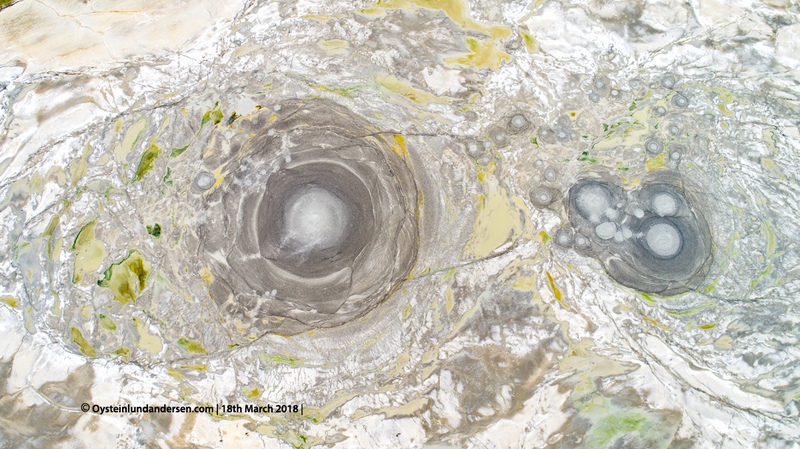 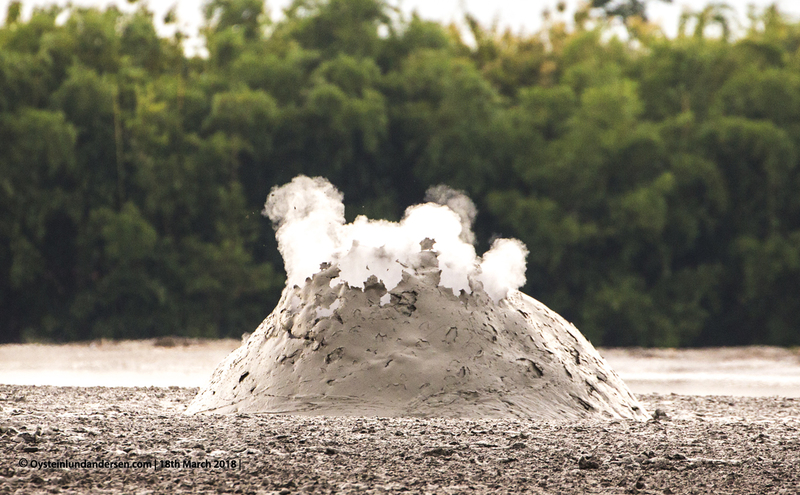 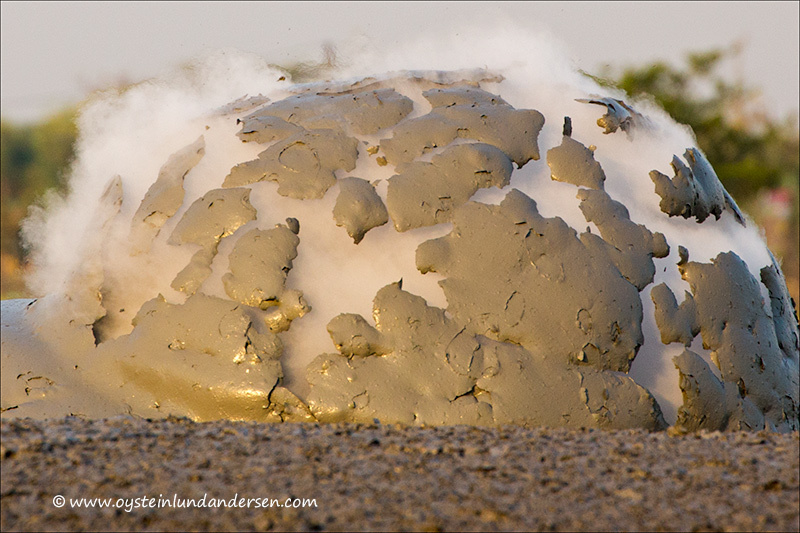 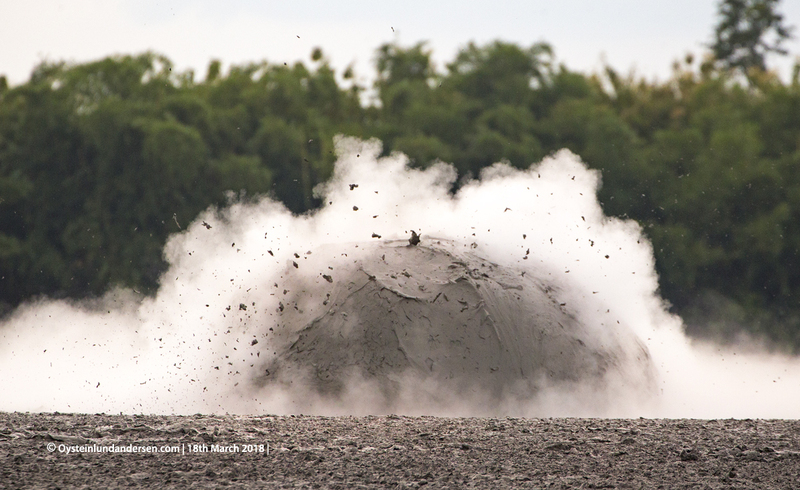 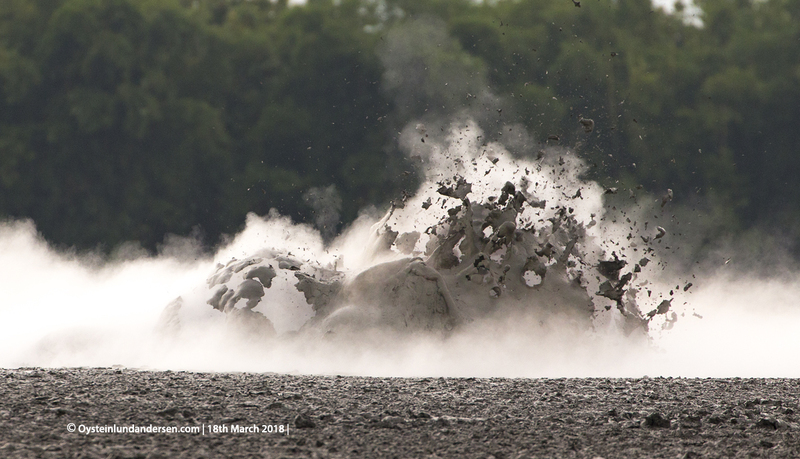 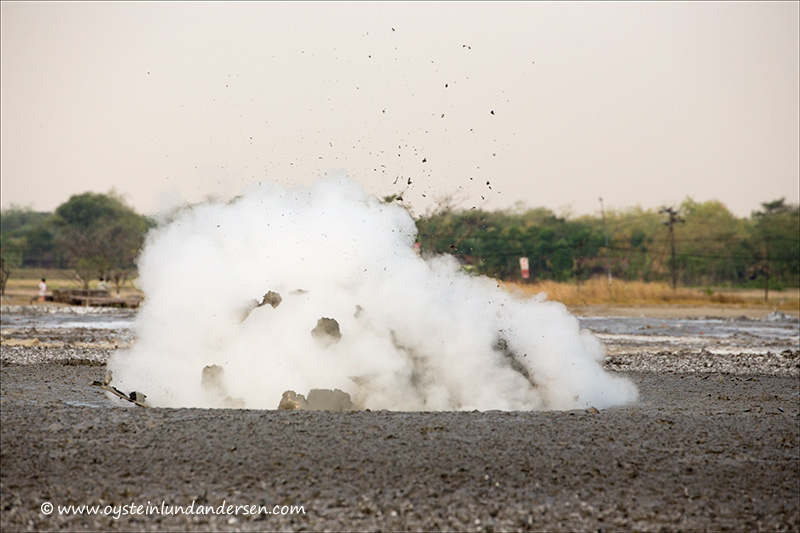 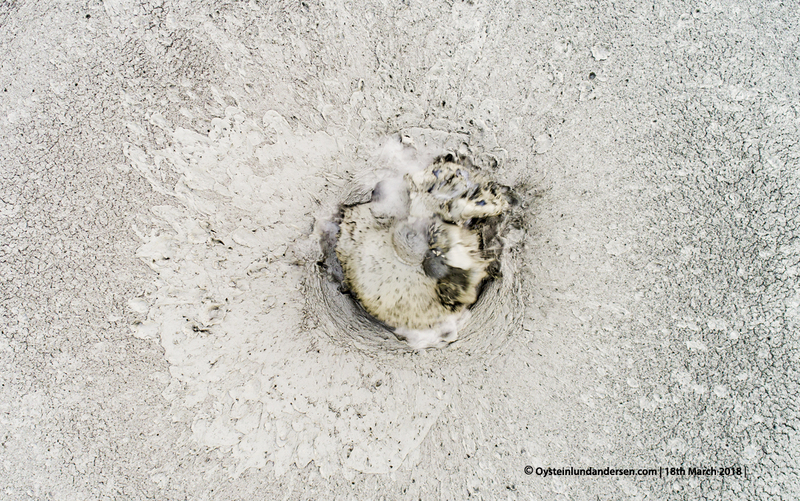 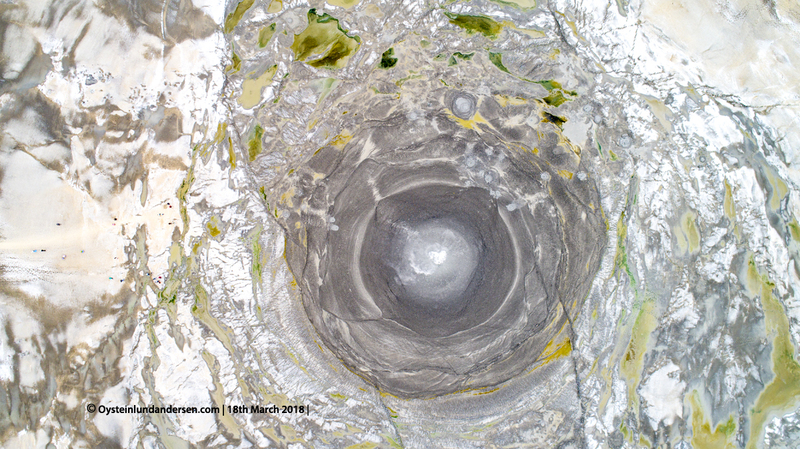 In addition to water vapor and CO2, mud volcanoes may emit methane and other gases. 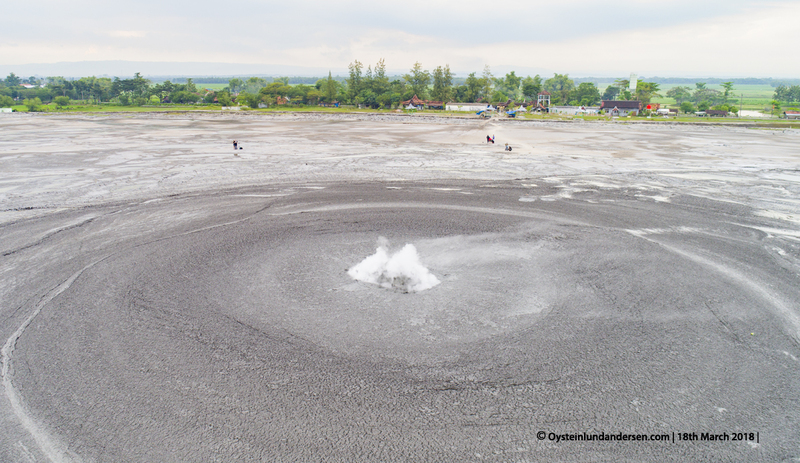 Bledug kuwu was also a popular recreation spot for the Dutch people back in the colonial days of Indonesia. 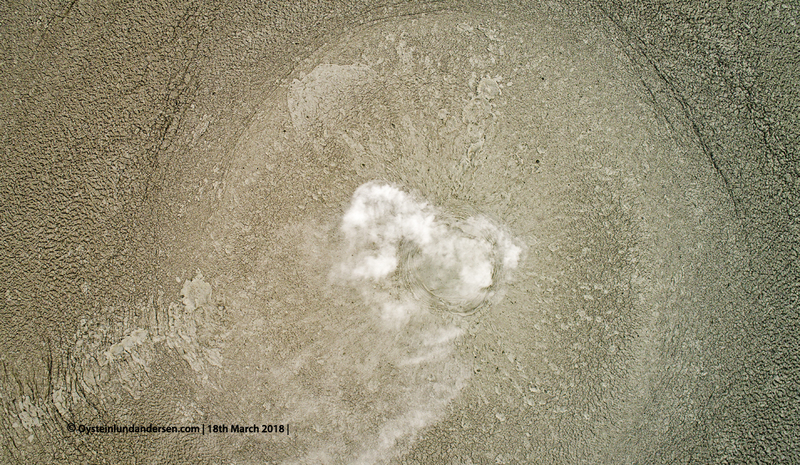 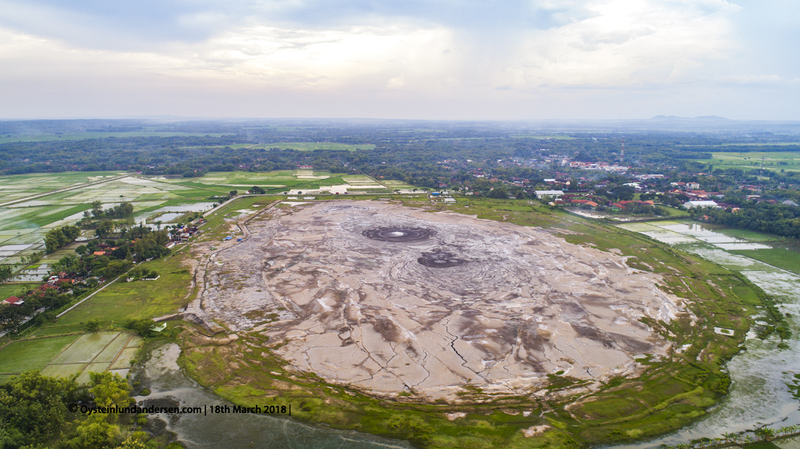 Aerial view from drone of Bledug kuwu mudvolcano showing the whole mudvolcano area. 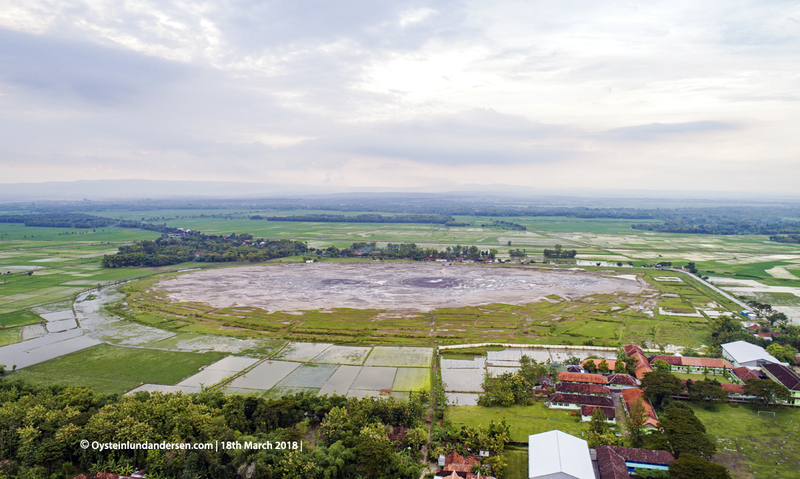 Houses and ricefields surround the mudvolcano. 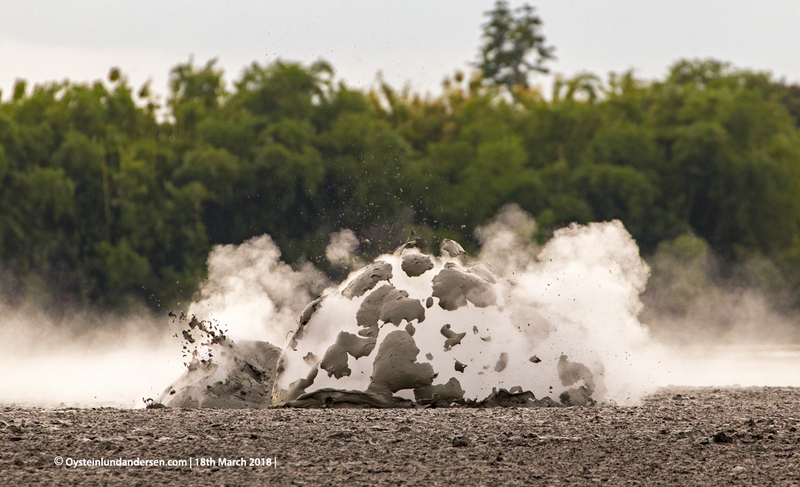 After rising, the mudbubble explodes and gas exits. 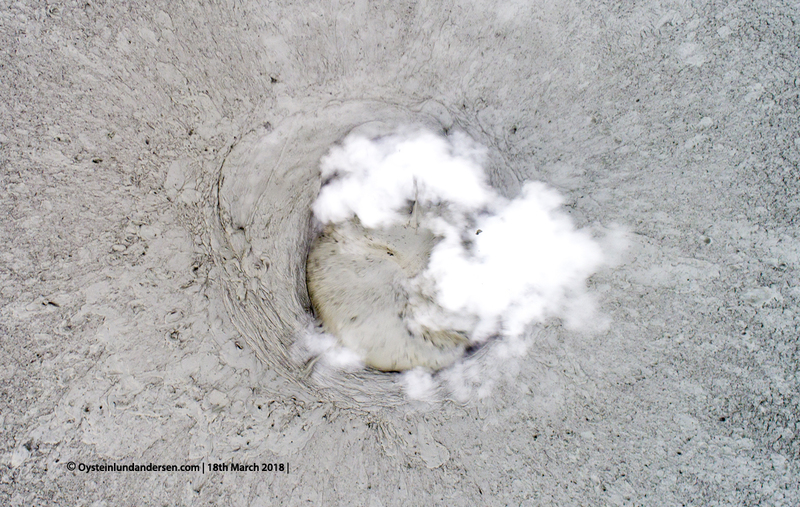 Most of the footage is available in 4K resolution and some in HD 100fps resolution. 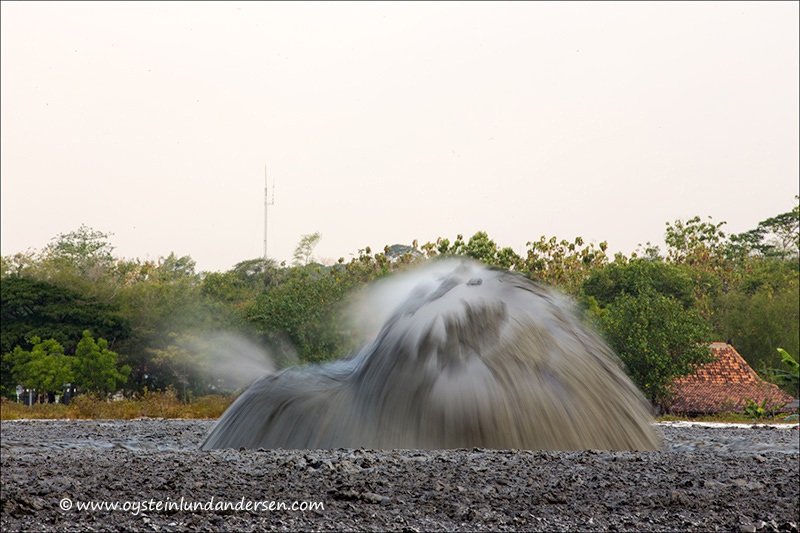 Photos: 20 available in format/size: RAW/JPG – 5472 x 3648 pixels. 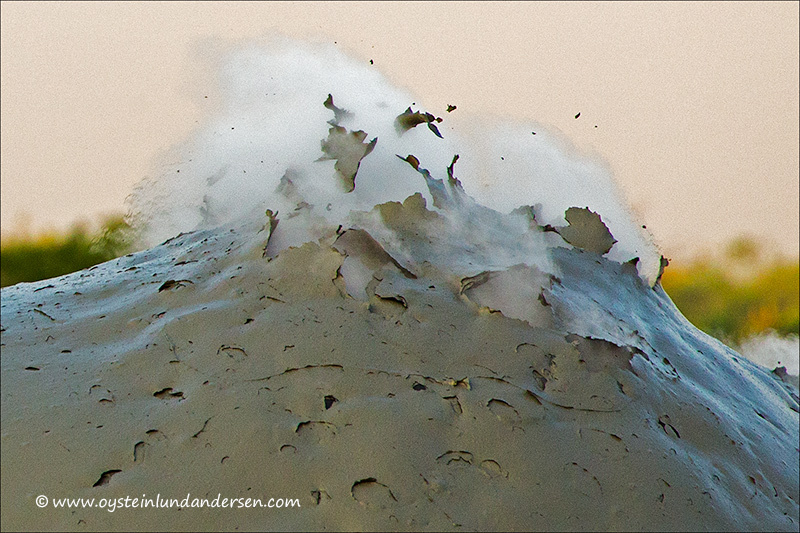 300+ photos not presented on the webpage.